And there is the blurry picture. 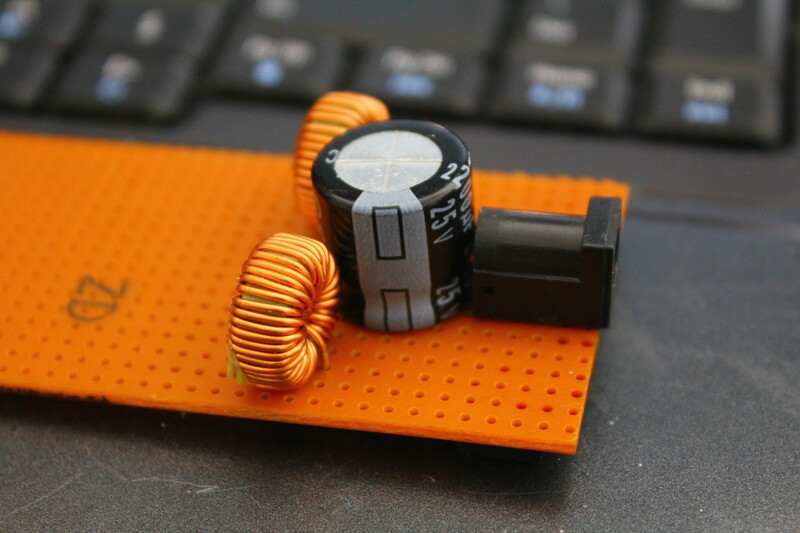 Similar construction to the nixie clock’s power supply, but this time double. 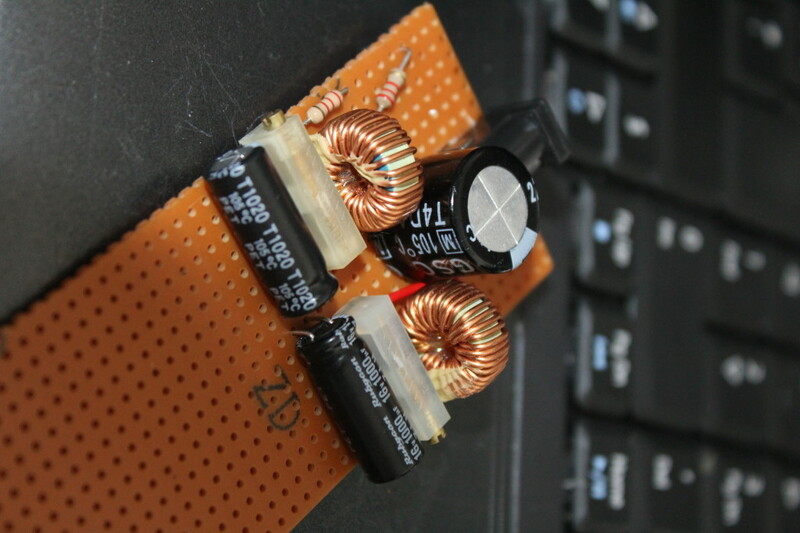 Inductors are also different, because I couldn’t find similar cylinder shaped coils. 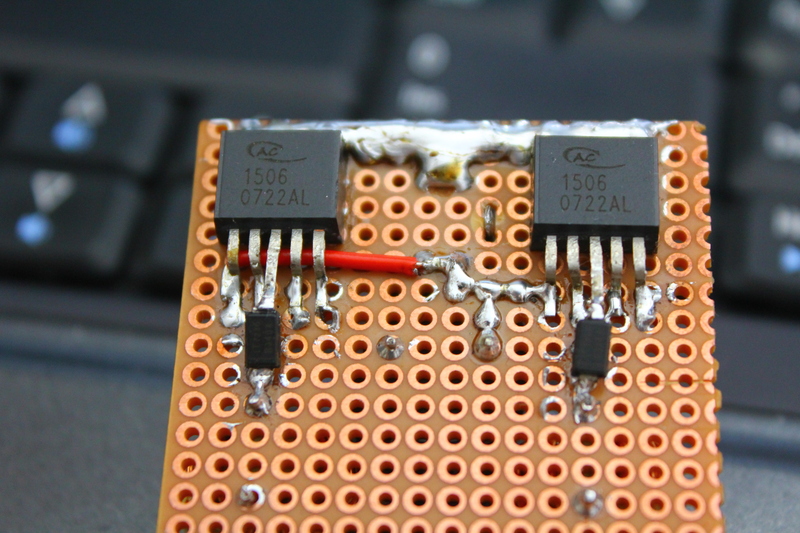 Those arent 47µH like ones in datasheet, but should do the job. 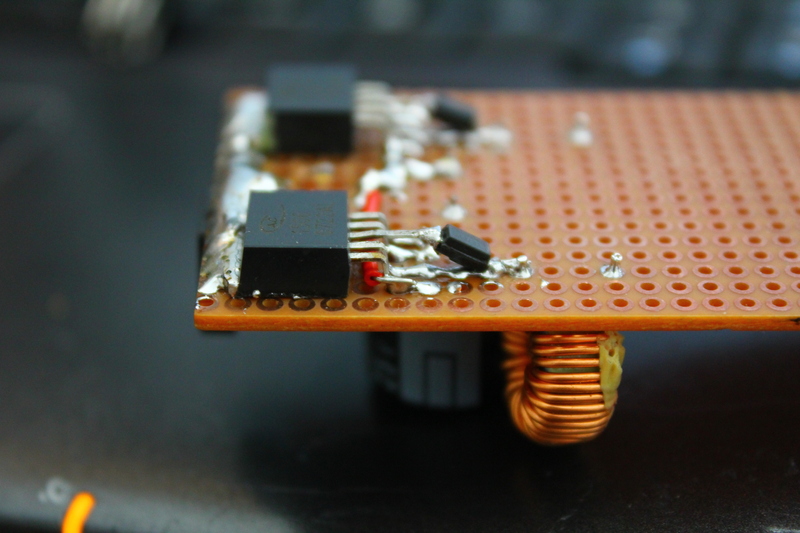 And not so nice soldering. 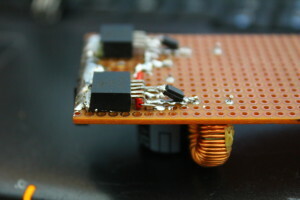 Lifting middle pin and little bending 2 legs those TO263 packages fits perfectly to dot board. 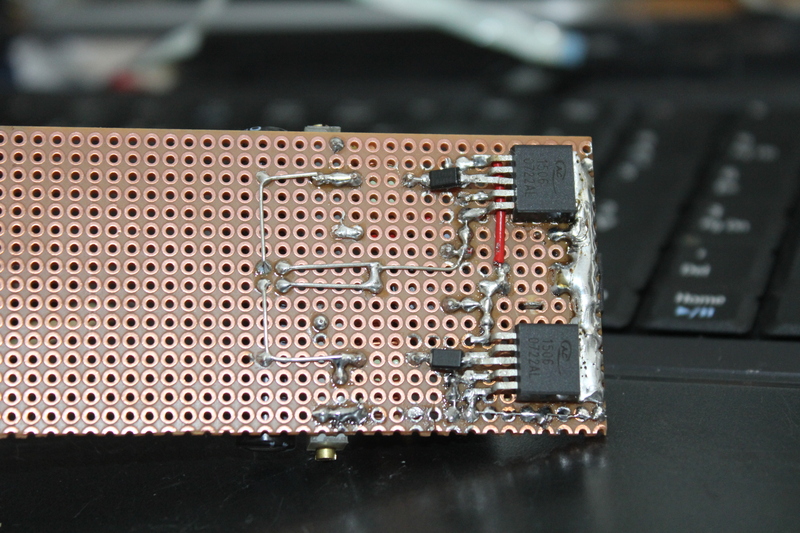 Big clump of solder is acting like poor heatsink. 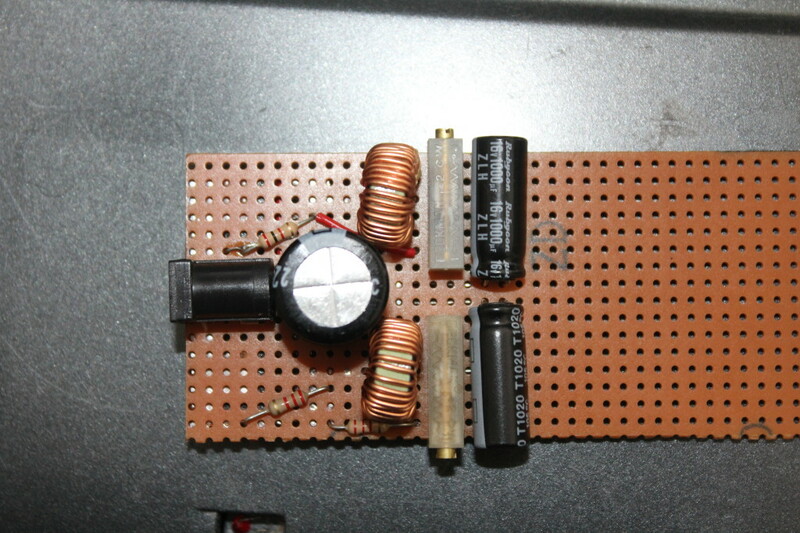 Well it gives steady 9v and 5v, looks nice (if bottom side is left to darkness) and have better performance than 78** regulators.